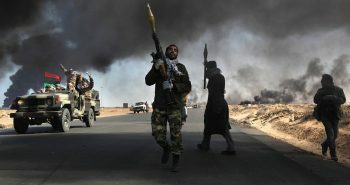 Libya has been holding its breath since 4 April in fear of a new war which could engulf Tripoli and which could scupper prospects of a peace agreement that was supposed to be formalized at an upcoming National Conference only ten days from now. While the UN Secretary General was in Tripoli on 4 April giving a press conference to support Libyans in making the conference happen, Libyan National Army (LNA) leader Khalifa Haftar was declaring the beginning of ‘operation Tripoli’ in a highly emotive statement. 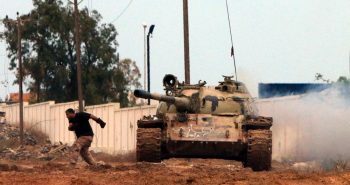 Haftar’s statement came after LNA mobile forces moved from southern Libya to Ghariyan, a town south of Tripoli, earlier in the week and yesterday declared they had peacefully taken the town and had been welcomed by the residents. Zintan’s Osama Juwaili, commander of the Presidency Council’s (PC) western military zone, spent the day in Misrata with Mohamed Haddad, commander of the central military zone, to oversee the action. 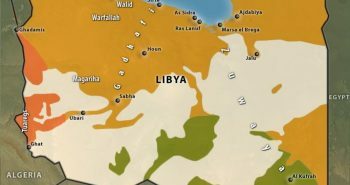 Misrata, according to informed sources has taken a social decision to enter the war fully against Haftar as a city and a large force has already started to roll down to Tripoli. 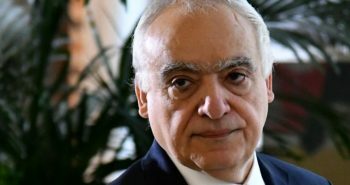 Fayez reportedly refused SRSG Ghassan Salame’s request for mediation with Haftar after his ‘treachery’. GNA Minister of Interior Fathi Bashagha, after taking some time to denounce the international community for ‘betrayal’, issued strict orders to all security and police authorities to discipline any collaborators with the eastern parallel government. 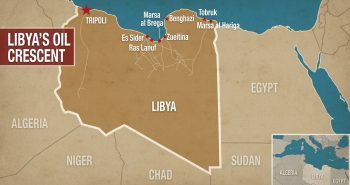 Misrata, Zintan and all the key Tripoli brigades (except Rada) appear to be in active coordination to mobilize and deploy forces to secure the capital and western region. 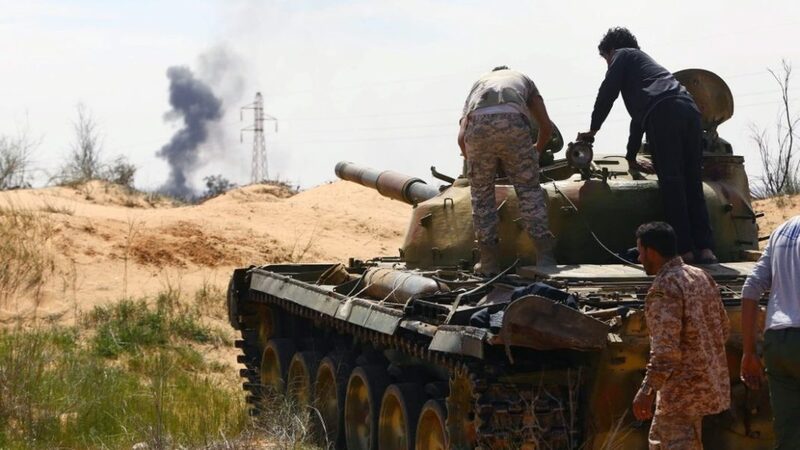 On 4 April, some LNA units based west of Tripoli briefly reached the 27km checkpoint on the coastal highway west of Tripoli, before it was retaken by fighters from Janzour and Zawiyya fighters. On 4 April, members of the international community, the US, UK, France, Italy, Germany and interestingly the UA, addressed the situation with a joint statement. Also interestingly Egypt issued its own statement calling all sides to ceasefire and maximum restraint. 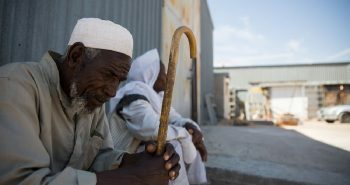 On 5 April, the UNSC had an extraordinary meeting on Libya. 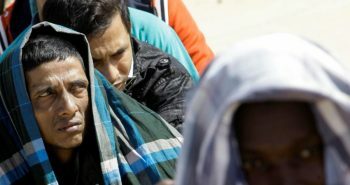 The reality of the situation remains very volatile and opaque at present, with Tripoli residents, Libyan actors and international actors waiting to see what will happen next. The timing of the LNA moves has taken many people by surprise given the National Conference is only days away. 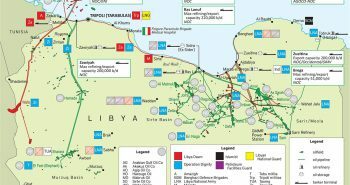 While the LNA has been significantly ramping up its rhetoric of military power projection in western Libya in recent days and has been moving forces around in the Jufra area, it lacks the capacity to be able to launch a full scale military assault on Tripoli. It would likely lose a great deal of its recently gained legitimacy and support in the western region if it were to do so unless it has deals and understandings in place with local actors. 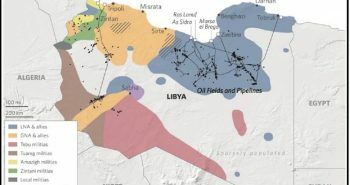 As a result, the assumption has been that the LNA has been ramping up its intimidation techniques in order to increases its political leverage and force more local groups into capitulating, rather than as a precursor for a serious attempt to take the capital by force. This assumption now appears it could be misplaced. Some communities supporting the LNA are elated, with high expectations of a quick victory and easy handover and/or sure escape of militias from the capital or defection of their leaders. 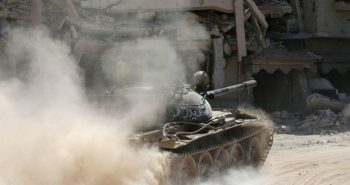 High expectations have built up over time due to a semi-successful operation in South Libya, comforting rhetoric of peaceful bloodless entry and swift decisive victory, as well as a publicly perceived international ‘green-light’ for Haftar to enter Tripoli (the UAE agreement between Haftar and Serraj that is supposed to form the basis of the upcoming UN conference). On the opposite side, there is a large segment of the population which has been divided and fragmented for years now, but lately has been openly in fear of the recent groundswell of social support for Haftar and the LNA. It seems that yesterday’s open threat, and the state of fear and panic it triggered, was the trigger to unify these western factions in a real way for the first time in many years. 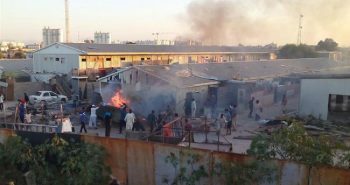 So Libya is now at the precipice of its third civil war in 8 years, a rude awakening that is engulfing much of the population as we speak. 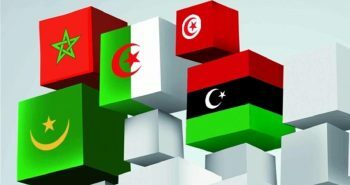 The country is currently psychologically split between a population that supports the LNA expecting Tripoli to fall quickly and without much blood, prepared for a full ‘military’ solution to Libyan politics. 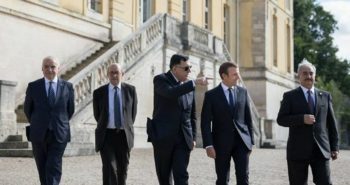 And another population mostly in the western region, that is now vehemently opposed to any kind of peace deal with Haftar and the LNA, and see no other choice than to support Fayez Serraj’s leadership as Supreme Commander of the Libyan Army and fall in under the military region commanders he appointed. We don’t know so far what the developments of the last two days mean for the UN’s upcoming National Conference plan. 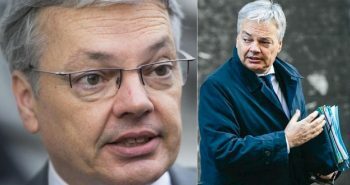 Will the UNSC sanction only one party, Haftar, thereby scuppering the conference? Will the UNSC throw its weight fully behind the GNA and Serraj’s leadership openly supporting one Libyan party over another in the conflict? This would mean that the UNSC would be unanimous in ultimately outlawing Haftar, delegitimizing the entire institutional apparatus of the LNA and its social support base. 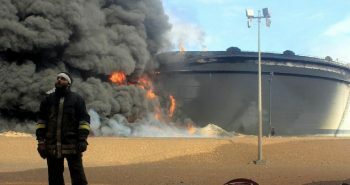 Would this help the reconciliation and reunification of Libya or add more fuel to the fire? Will the UNSC only issue a standard statement demanding ‘all’ sides deescalate but leave the matter as is without any real interventions? Wouldn’t this be deemed as more ‘green-light’ for Haftar to continue and conflict to proceed? Will the UNSC be concretely split this time over which direction to take on Libya or which government to legitimize? 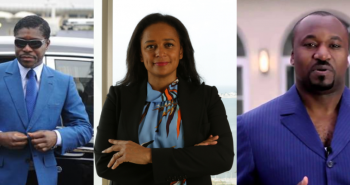 Can the National Conference still happen, potentially if the LNA’s campaign demobilize and retreat thereby levelling the playing field and setting the groundwork for a more stable agreement? Is retreat an option for the LNA and what are the possible consequences of retreat? Can the LNA win by military blitzkrieg in coordination with cells inside Tripoli and control the city? At present, there are far more questions than answers, and so many different permutations of how the situation could develop that trying to predict the most likely outcome at this point feels like an exercise in futility.